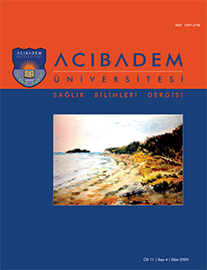 2Ege Üniversitesi Tıp Fakültesi Hastanesi, Bornova, Türkiye Aim: The aim of this research is to determine the marital adjustment and hopelessness in infertile couples. Methods: The descriptive and comparative study was conducted with 84 infertile couples between July and December 2014. The data were collected using the Individual Identification Form, the Beck Hopelessness Scale, and the Dyadic Adjustment Scale. Data were analyzed using numbers, percentages, mean values, Mann Whitney U, Kruskal Wallis and correlation analysis and p values <0.05 were accepted as statistically significant. Results: The mean age of the women who participated in the study was 30.46±4.71 and 33.94±5.08. 77.4% were diagnosed with primary infertility, 38.1% of the infertility was due to female problems and the mean marriage duration was 7.04±4.29 years and mean infertility time was 5.59±3.35 years. Womens Beck Hopelessness Scale total score average was 12.29±2.48, males were 10.09±2.70 and there was a statistically significant difference between the mean scores. The total score average of the Dyadic Adjustment Scale was 89.00±12.79 for women and 100.39±17.24 for men and there was a significant difference between the points average. In addition, there is a significant negative correlation between the mean scores of Beck Hopelessness Scale and Dyadic Adjustment Scale of women and men participating in the study.